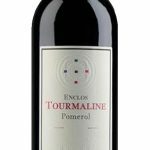 Pomerol, Château Enclos Tourmaline 2012 Magnum – Peter Kvok debut vintage of this new Pomerol estate was produced from 100% Merlot, whole berry fermented fruit in barrel. The vineyard is a small .5 hectare parcel on clay terroir, located in front of Chateau Clinet. Coffee, licorice, truffle and black cherry notes create the perfume. 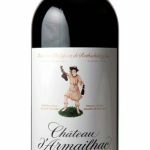 The wine is plush, opulent and silky, with a lot of oak in the chocolate, plummy finish. Den første produceret årgang af Enclos Tourmaline!